When the HP Omen was launched in Malaysia, it retails at RM6,999 with only one configuration. 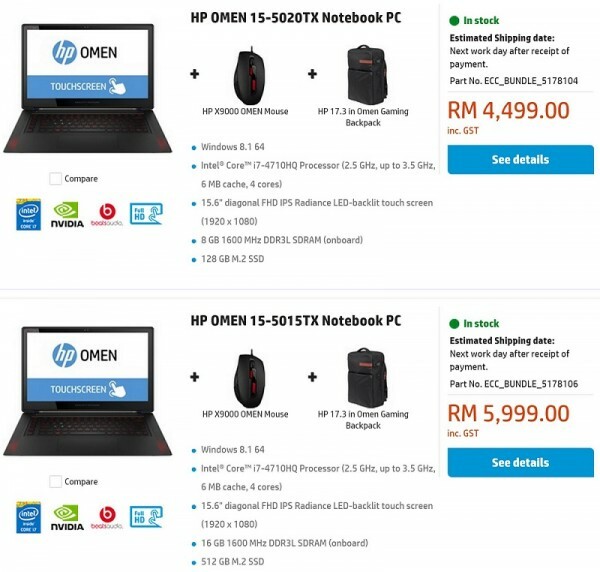 However, while browsing through HP Malaysia’s online store lately, we found out that it is currently available in two configurations and with new retail prices: RM4,499 for the base model and RM5,999 for the top-of-the-line one. To put this into perspective, the HP Omen that we have reviewed is the RM5,999 model. At that time, it was priced at a whopping RM6,999. A price cut of RM1,000 is quite significant, especially for such a premium laptop – although it’s not necessarily the best one for gaming. 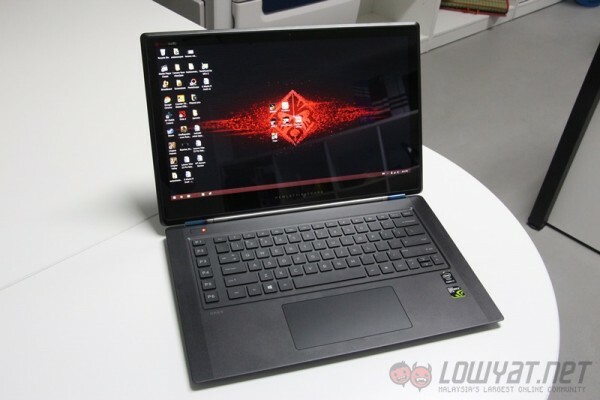 In terms of specification, the highest-end Omen has an Intel Core i7-4710HQ processor, a 15.6-inch 1920 x 1080 IPS touch display, 16GB of on-board RAM, and a huge 512GB M.2 SSD. The base model, on the other hand, shares mostly the same hardware, but with less RAM at 8GB and a smaller 128GB M.2 SSD. Every purchase of either model of the HP Omen also comes with a mouse and a gaming backpack. With a more affordable price tag, the Omen might just be a more viable option now for gamers out there. The HP Omen can be bought at HP Malaysia’s online store here, and most likely at local retailers as well. More information on this premium gaming laptop can be found on its official product page. Steam Now Offers Refund for "Nearly Any Purchase, Any Reason"